The Exigo Donkey Calf Raise belongs to our market leading plate loaded range, and is simply one of the best exercises for developing the calves. Our premium grade 30mm linear bearings with 1000lb load rating, providing optimum performance and durability. This exercise is performed in a bent forward position. Your upper body is leaning over at 90 degrees and is horizontal while your lower body remains vertical. Featuring rubber grip handles and adjustable pad for secure user positioning. Engineered with a heavy duty frame and premium components, our Donkey Calf Raise is ready to endure a lifetime of intense workouts. Finished with a durable high quality epoxy powder coated finish and hard-wearing upholstery. 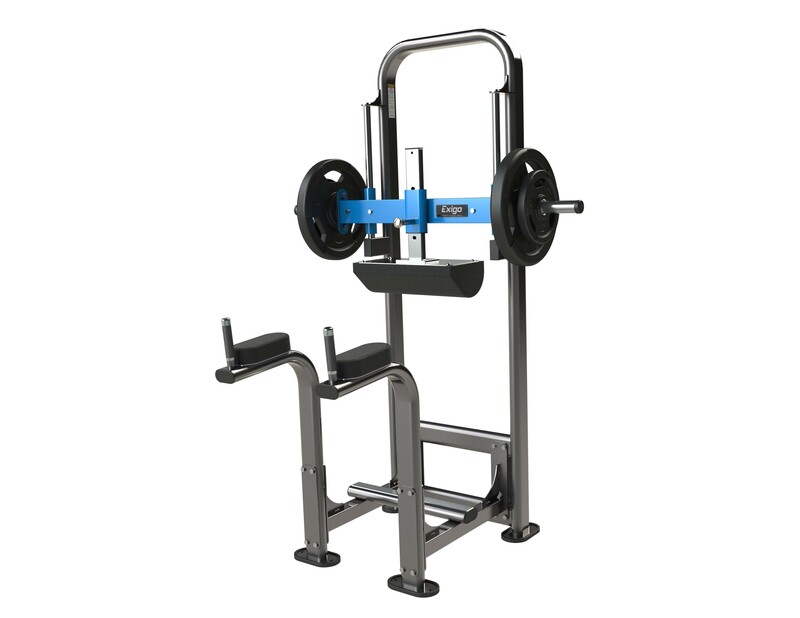 The Exigo Donkey Calf Raise is a great addition for any commercial gym or strength and conditioning facility. Proudly designed and manufactured in our very own UK factory with a mainframe lifetime guarantee. Belongs to our market leading plate loaded range One of the best exercises for developing the calves Premium grade 30mm linear bearings with 1000lb load rating, providing optimum performance and durability Rubber grip handles and adjustable pad for secure user positioning Engineered with a heavy duty frame and premium components Ready to endure a lifetime of intense workouts Finished with a durable high quality epoxy powder coated and hard-wearing upholstery A great addition for any commercial gym or strength and conditioning facility Proudly designed and manufactured in our very own UK factory Mainframe lifetime guarantee.